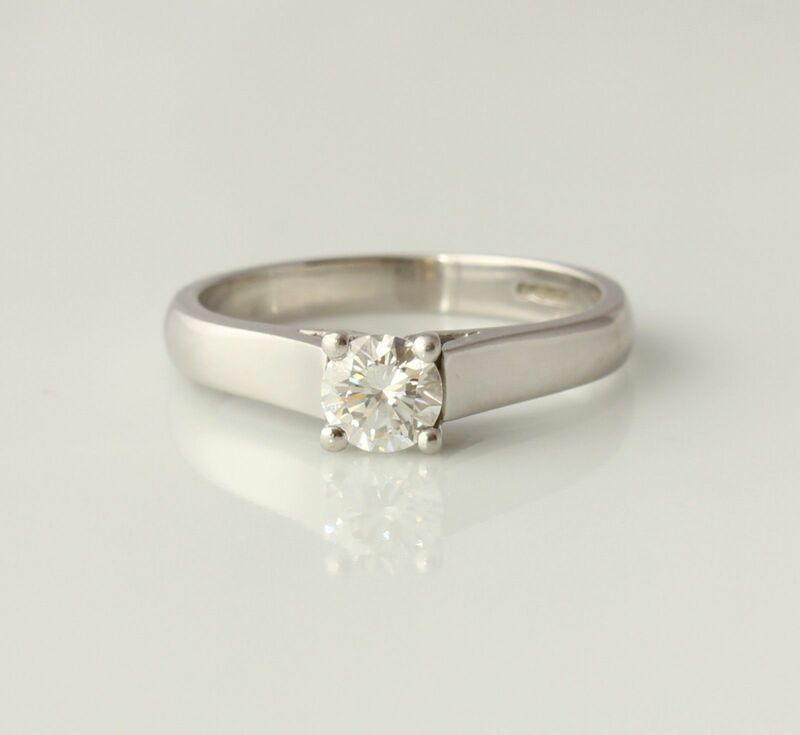 Platinum Natural Diamond Solitaire Engagement Ring. Certified 0.40ct VS. L 1/2. 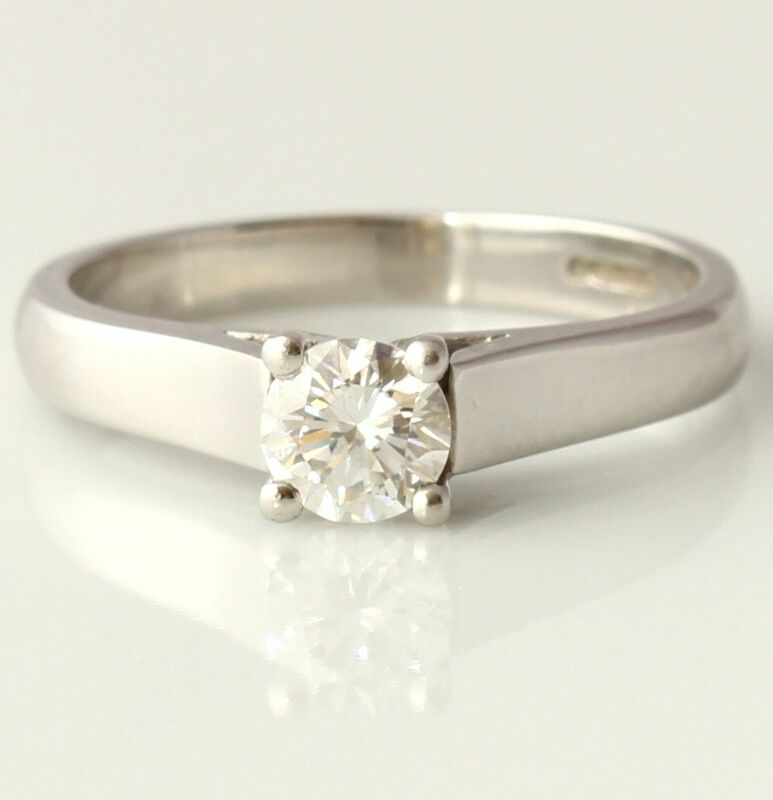 This stunning ring is beautifully crafted in Platinum so has a nice weight and is set with a brilliant cut natural VS diamond of 0.40 cts. The diamond which is fully certified is clear, sparkly, bright and would make a really wonderful Engagement ring. 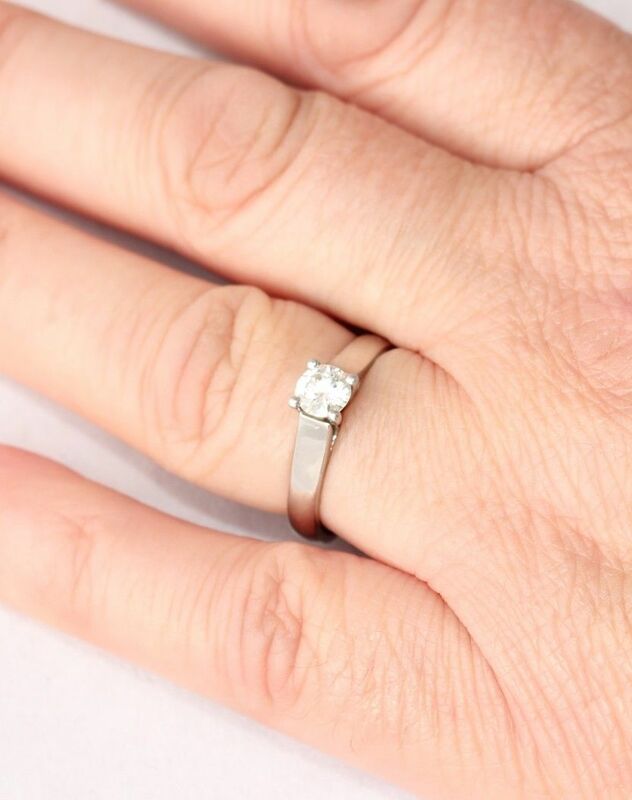 This ring retails new on the high street for between £3500 - £4500 so this is an incredible saving on new and would make a really wonderful Engagement ring. Materials: Platinum band. Natural diamond 0.40ct. Hallmarked: Fully hallmarked for Platinum, Birmingham and the diamond is laser inscribed with the GIA number which corresponds to the diamond's GIA report (which comes with the ring). Diamond details: Comes with a GIA report 5151269242: Colour: G. Clarity: VS2. Condition: Excellent condition. Diamond is bright and sparkly. 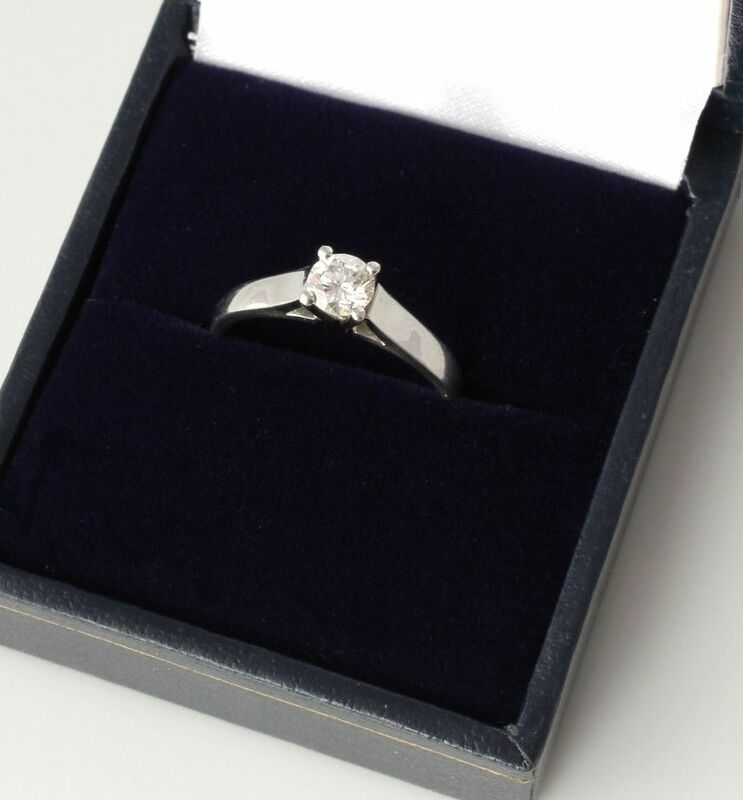 Diamond is GIA certified and comes with the GIA certificate. The diamond is laser inscribed with the GIA number which corresponds to the certificate. Professionally cleaned and ready to enjoy. Please see pictures. Comes in ring box.